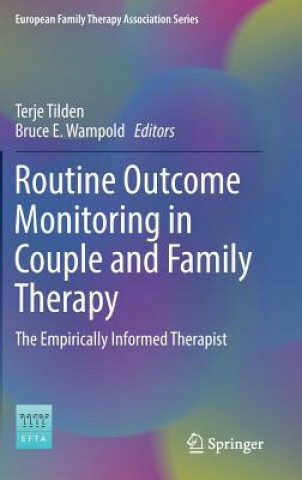 This research-to-practice manual introduces Routine Outcome Monitoring (ROM), a feedback-based approach to preventing impasses and relapses in couple and family therapy, and discusses how it has been developed and experienced within the Norwegian couples and family therapy community. Locating the method in evidence-based systemic practice, contributors describe the core techniques, tools, and process of ROM, including examples of effective uses of feedback over different stages of therapy, with individuals in family context, and implemented in different countries. Giving clients this level of control in treatment reinforces the concept of therapy as a collaborative process, fostering client engagement, commitment to treatment, and post-treatment progress. ROM is applicable across clinical settings and clinician orientations for maximum utility in work with clients, and in building therapeutic self-awareness. Features of the book: . Theoretical and empirical context for using ROM with families and couples..	Tools and procedures, including the Systematic Therapy Inventory of Change.. Guidelines for treatment planning, implementation, and evaluation..	Common challenges in using ROM with couples and families.. Supervisory, training, and ethical issues.. Examples and vignettes showing ROM in action. With its deep potential for promoting client progress as well as therapist development, Routine Outcome Monitoring in Couple and Family Therapy: The Empirically Informed Therapist will attract practitioners and research professionals particularly interested in clinical practice, client-directed methods, and couple or family therapy.